Whenever you want personalized, prompt and courteous assistance for computer training and support, hardware troubleshooting and maintenance or any other computer repair services, you’ve come to the right place! 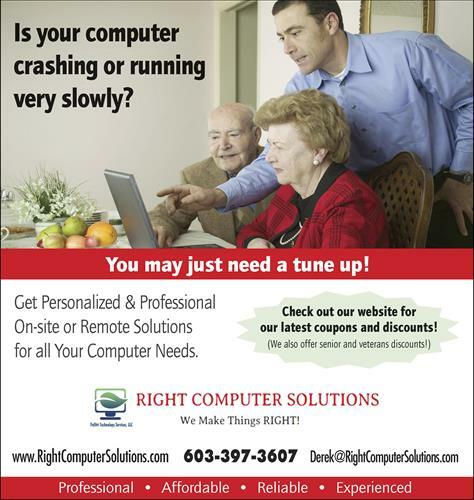 Right Computer Solutions of Nashua, NH does it all, or we refer you to someone who does. We offer On-site, Remote or Drop-off Service. Whether your computer needs a basic hardware or software upgrade, or a Tune-Up and Cleanup, we at Right Computer Solutions of Nashua, NH do it right. Before we start any work, we will make sure your computer is backed up, so you don’t lose any data. We strive to repair your computer quickly and professionally so you can get back to using it as soon as possible. We offer On-site, Remote or Drop-off Service. 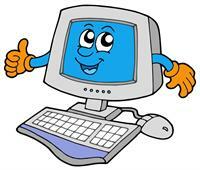 We are committed to provide you a better understanding of the basics of computers; how to use them on a day-to-day basis; how to use the Internet, E-mail, Facebook, Skype, search for information online, or just have fun playing games. Right Computer Solutions of Nashua, NH allows you an enjoyable relaxed learning experience while you learn what YOU want to know, on YOUR computer or mobile device, in the comfort of your own home, remote online or in a group setting.